Anonymous has always fascinated me. It was with great interest that I heard of Operation India being “engaged”. I liked it that they were picking up on censorship to protest. I thought that DDoS attacks were a lot of trouble for little result beyond the time of the attack and illegal as well. Sites being defaced were outright scary illegal. But I liked the reasons. I realized that most people had no idea of Anonymous in any factual sense. I decided to find out. Yesterday, I went on their IRC channel to interview whoever was there to get an idea of the thinking and actions of Anonymous for India. The first message on entering is automated. I introduced myself on the #OpIndia channel and was immediately asked to return with a fake ID. I explained that i was not there to participate, but as a real person, blogger with a real identity wanting to find out more about them. 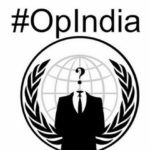 I was quickly directed to another channel called #AnonymousINDIA – #OpIndia was not for chatting. Presenting snapshot quotes and answers gathered for some questions I asked them. Operation India was started by NetCak3 and Vlad. BitMentor is an experienced and active Anon,and consented to speak with me. Participating in it is strictly individual choice. Anons themselves as individuals under a collective identity and there is no leader deciding for everyone. More like whoever wants to lead starts walking and everyone finding it interesting walk along. I was interested in what made BitMentor start Operation India and other anons join in. Corruption, censorship, illegal silencing that powerful entities get away with and such seemed recurring themes. The block on websites which also were extensively used in legal ways. Examples included VIMEO being used for sharing videos that were owned by the uploader or “open licence” or softwares like OpenOffice having official torrents for distributing. “we would not have cared if they had found the unloaders and arrested them [on piracy, illegal content]” They spoke of three kinds of blocks. The first was a block of sites that could potentially pirate content. The second was to block sites that can allow anonymous sharing of content – Pastebin, for example. The third was specific targets. A list of blocked sites they got off the Reliance servers had a lot of urls containing “Satish Seth”, which they say they investigated because it seemed curious and found no court order for (it is possible that there may be one that is not online). Satish Seth was an employee of Reliance arrested in the course of the 2G scam investigations. Pages including those on major news sites like telegraphindia and moneycontrol were on the list. Blogs on blogspot, tumblr, profiles on twitter, linkedIn. These pages open without any problem for me from an MTNL connection, which would not have been the case if this was a ban from a court order or DOT. At first sight, I thought the sites were spoofs or insulting in some way. Possibly some may have been, but others seemed to be fairly innocuous. For example, the page on moneycontrol.com is the fourth page of the search results for the term satish seth. This page would be changing with news being added. Also, why not the first, second or third? Very strange. In #OpIndia, the blocking of 400+ sites is something that is cause for alarm about the state of free speech. It indicates presumption of guilt unless proved innocent. And they are fighting to force such blocks back. However, the question in my mind was “by what means?” What plans does Operation India have? Answers ranged from DDoS attacks and defacements to protests on the ground. There was a whole range of alternatives ranging from the fairly straightforward to the illegal. I asked them what justified the breaking of laws as a method of protest. Some answers I got, I don’t buy. Defacements being peaceful protests in the sense of them not harming the server beyond replacing the front page or that DDoS attacks were the equivalent of thousands of people walking into a restaurant with a capacity for only hundred. Still others asked “where is the proof that we did it?” or that they were fighting things that were illegal or oppressive to begin with. In my eyes, this doesn’t wash. You take thousands into a restaurant with a capacity for a hundred people with the sole purpose of paralyzing it? Entering a privately owned server without authorization and through bypassing security or exploiting vulnerabilities? It would be the real life equivalent of a person breaking into a home or office saying he did no harm, only painted all doors and windows black. They know the risks. Indeed, the top of the page makes it clear “Anonymous Is no game, You must be aware of the risks and yet be brave, because this is a revolution. Some may fall but oure cause wont.” The confidence as well as the outrage is clear. “We create every technology they use, and they expect to use it to control us. That is an idea of fighting the creator with his creation.” There are blurred boundaries. “soon we will hack computer of all corrupt Indians” said one. Some thought he was over reaching. Yet, there was a question a reader wanted asked about if anonymous would hack and get details of corrupt politicians with money in Swiss banks. Inside Anonymous or outside, disillusioned, angry minds think similar. But there is always the question of actual ability as well as the difficulty balancing what is right and wrong. For example, not all politicians are necessarily corrupt. Which brought me to the question of how they decided targets. By consensus/vote – as expected. By now, I understood a little of this band of virtual Merry Men. But what happens when some Anons go converse to the interests of others? An example being the #OpKashmir that ran a few days ago, targeting Indian sites. It claims to represent the people of Kashmir independently of either India or Pakistan, yet the Operation targets onlyIndian sites – specifically those of the J&K government and the Army. While OpKashmir seems to be announced from an Anonymous website, the operation itself is claimed by The Hackers Army and their earlier post makes no mention of Anonymous. They had also launched #OPfreePalestine in which they hacked thousands of Israeli websites. This claim directly led to a flood of tweets with screenshots clearly showing that the CERT website was down and for a long time. BitMentor: Then we have CERT – Computer Emergency Response Team and the Cyber Cell – both these in India are over glorified. The reason they could solve many crimes is because the criminals were not good at it. Not because they were Shelock and Watson. Me: What exactly would you say is wrong with them? BitMentor: The problem with this idea is that you are never safe. Nothing wrong with them, the truth is that no one can do better, but that better is useless. Me: So what should they do? There are cyber crimes happening BitMentor: Educate people, and make laws to control the companies and not the internet. Eg: if law exist that a company can’t store Credit Card data, no one can take it easily. Had Anonymous been able to change policy or governments before? “SOPA and PIPA have been dropped”. The government in Egypt changed. What did they plan for India? 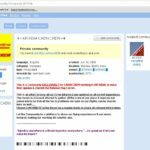 They want to get the blocks on sharing sites reversed to earlier method of blocking urls instead of entire sites used by millions of people – many of whom didn’t even watch films of the type being protected from piracy. However, there were idealistic long term visions too. The resolve was firm that any eroding of human freedoms would be fought with all means at their disposal. When I shared the supportive messages and appreciation for their fight for freedoms, their reply was simple. “Tell them they are our power, help us fight”. I remarked that while many may be angry over the same things they were fighting, most people would hesitate to cross legal lines or lack technical knowledge. “All of us are not techies. Ask them to spread message, to organize protests.” “Speak up.” “Tell them to do it before protesting is banned too” “They need to wake up, No country or place was ever saved by the government while the people slept.” They have a date – 9th June – by which they expect the government to reverse the blocks, or they have protests planned on the ground. Beyond that? It is anybody’s guess. 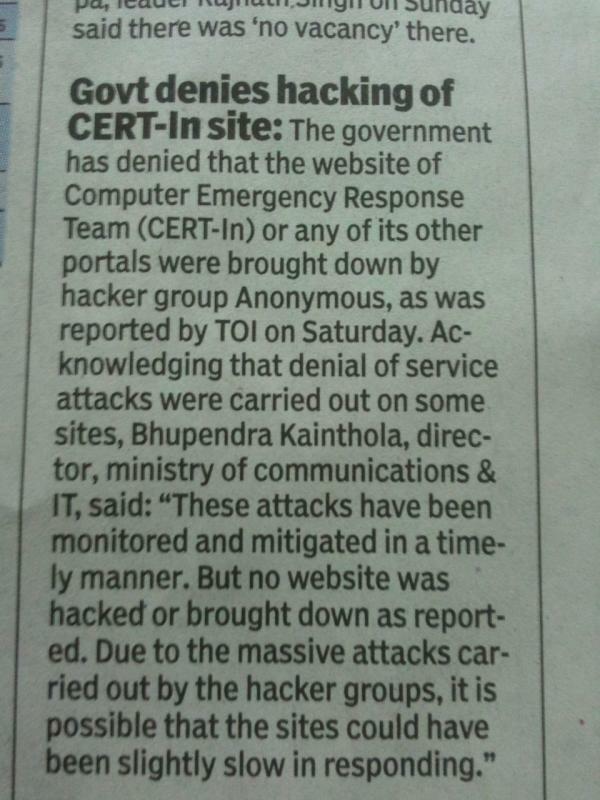 What is clear is that the Anonymous are in India and they are here to stay. Good story on anonymous, however i dont fully support such intrusion but i do support the cause of freedom of speech – a fundamental right. Saw a story on the blocked target – satish seth. Looks like he was a big shot and was banned by SEBI last year and penalized too. The UBS – Ambani story is all over the net and Seth’s name also emerges in some of them. Could be many of the links are blocked :), if anonymous can check that too. It may well lead to a break SEBI is looking for. Could not find anywhere, if he was arrested by CBI in 2G scam. Found some links in which he blames one of his colleagues who was arrested and 8 months later denies it in court. Instead he points finger at Anil Ambani in court saying Ambani was present in controversial board meeting where decision of investing in Swan was made. The man seems to have guts, thats why he would have been blocked so brutally by the ISP. hello, dearest friend. i came across this article after discovering the various links my website was directed from. i am xLyRa of weareanons.wordpress.com and i want to say thank you for writing this intricate piece in your utmost respectful and journalist mind-set. peace to you, and good luck on your ventures. and remember: We are Anonymous. We will continue fighting. And will always be watching from a far, engaging missions when natural rights are at stake. I am from #OpIndia and thought it was important that i speak something here, something very important. We had successfully entered BigCinemas.com and took out many files and defaced the site mark our presence here. Somewhere in between the administrator of the site noticed our presence or heard the news that they were under attack and closed the server for some time. They were back in a few minuets. But the truth is that they never solved the security issue that we used to enter inside. This means we can enter again at any moment of our choice and do anything we please again. This is a crime against customers who trust in BigCinemas when they give their details to them. The company has no interest in how well they protect the servers that store user information from the customers. They are more concerned about the money they can make by running the site for longer than the effort and money that needs to be spend to protect their customers they call “Valuable”. This clearly shows how much less these companies care about protection of their users, as of this moment even a 5 year old can enter the BigCinemas server by just clicking a link and run mayhem in it. We request all people to stop using the online ticket booking and market systems used by these indian companies that don’t care about your safety and under lack of law to govern the security and firm their liability on it. Any hacker with minimum knowledge can take anything from your name and address to CreditCard details. But if that happens, know it was not us. Our stand is to awaken you and not harm you. Rise up India it is time you stopped expecting the corrupt politicians to make any bill or do any thing at all to stop corruption, Why will they sink their own ship. Unless you people do something its useless and the worst will happen. If you want to watch movies, IPL and spend time dancing while your freedom is taken away and wealth is stolen go ahead. No savior, No hazare, No one can help you at all if you throw away your comfort rules and get out on the streets and protest. The sad truth is anons haven’t really changed anything.EVER. They may claim they stopped SOPA and PIPA, but that is not true. The internet blackouts of 28th Jan were the reason. Egypt’s policy was changed because hundreds of thousands protesters marched and overthrew Mubarak. Similarly they will be never be able to do anything about india. Even ultra-massive unilateral support will not be able to stop this censorship(ref. Jan Lokpal bill) . The only way we can stop this will be by expensive and time consuming PILs and by actually getting people who understand the internet into the parliament in large numbers(large enough that the ruling party cannot ignore them). And most netizens do not have large sums of money to invest in litigation nor are they interested in politics. So the current style will only get worse. People not interested ignoring these steps and tech-savvy people circumventing it. Got such an interesting article to read after a long time. Freedom of speech by killing the resources cannot be compromised. Nice article for a good cause #opIndia!